On any given day, the real estate attorneys of Mastin Bergstrom assist and represent tenants, landlords, purchasers, sellers, borrowers, and lenders in connection with the leasing, acquisition, sale, financing, and development of residential and commercial properties. One of the primary strengths of the firm’s real estate attorneys is their practical knowledge and ability to assist our clients with all forms of leasing transactions. They will clearly explain the leasing process, advise you concerning what is typical in the industry, and guide you through the often-complex lease agreements for your office, retail, commercial, or residential lease. The real estate transaction attorneys at Mastin Bergstrom have substantial experience in the preparation, negotiation, review, and, when necessary, can efficiently modify proposed retail leases, office leases, ground leases, and oil, gas and mineral leases. Our real estate attorneys also have significant experience in the preparation of all of the other real estate documents related to lease transactions, including: subleases, assignments of leases, assumption agreements, extension and renewal agreements, amendments, estoppel, attornment and nondisturbance agreements. Utilizing the sophisticated experience regarding every type of real estate transaction, of our real estate attorneys can negotiating the all of the terms of the real estate transaction. This often involves working with other attorneys, developers, brokers and investors. 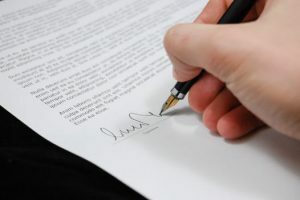 It is one thing to be able to negotiate the terms of a real estate transaction, but it is even more important to be able to draft agreements that reflect the terms of the deal. Our real estate attorneys are adept at preparing deeds for conveyance transactions, leases and rental agreements, purchase contracts and documentation for financing agreements. While some states permit licensed real estate agents to assist with the completion of some of these types of documents, only experienced attorneys should be used to actually draft and revise any of these documents. Even after documenting the transaction, most real estate transactions require some degree of “due diligence” before the closing of the deal. In a real estate transaction, this often means examining legal title issues, environment issues and reports and any of the contracts or other documents involved in the transaction. Our real estate attorneys have training that allows them to spot issues that their clients do not recognize. Real estate transactions demand knowledgeable and experienced real estate law attorneys. Our real estate attorneys are: experienced, practical, problem solvers, option creators, counselors, and providers of legal guidance whether you’re buying, selling, leasing or financing real property. They have negotiated and prepared the documentation required to assist clients with every aspect of real estate transactions. Connecting your Real Estate with the Rest of your Business Transaction. Although expertly and efficiently handling the real estate transaction is a primary goal, our attorneys also have substantial expertise and experience in the related fields that may have an impact upon your real estate transaction, such as the formation of a business entity before entering into a lease, a real estate purchase, or other business transactions.